With 654LIMO, you can afford to treat yourself to the ultimate luxury, with a chauffeur-driven classic car. 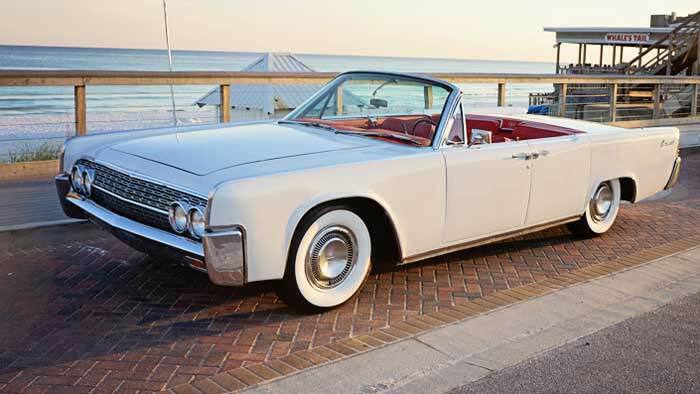 Our 1962 Lincoln Continental Convertible will make your Emerald Coast wedding day or special event truly unforgettable or even add a touch of elegance to your next photo or commercial shoot. Classic cars provide the perfect setting for iconic photography, to really bring the glamorous and sophisticated mood of an era to your images. 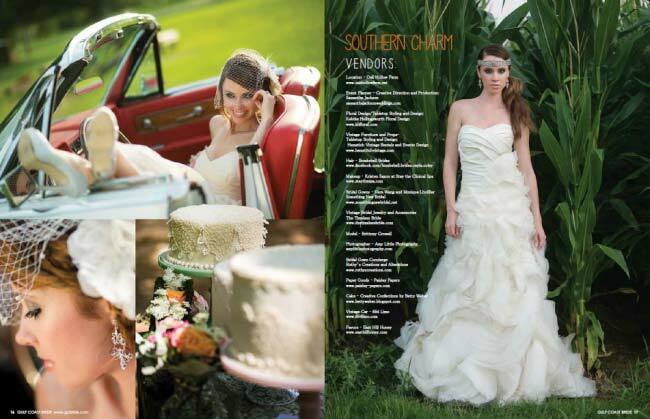 654LIMO works with many top photographers in Northwest Florida, adding an authentic touch to retro-inspired work. This 1962 royal beauty is one of the very rare and desirable four-door convertibles, and its presentation is exquisite. It was dramatically different from anything else on the road at the time, and Continental convertibles of this era have been heralded as some of the most unforgettable designs. Continentals set a standard that is still recognized for refinement, style and luxury. This gorgeous classic car embodies those standards perfectly. 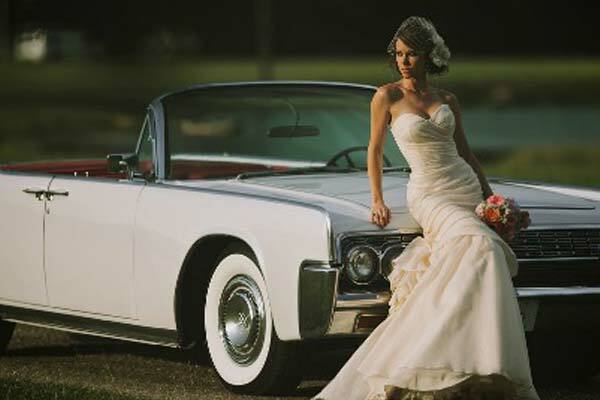 Get ready to turn heads in Destin when you book this retro-chic car for your unforgettable wedding entrance or getaway. Stunningly featured in the Summer 2014 Issue of Gulf Coast Bride, this incomparable convertible makes for an elegant vintage backdrop for unique bridal pictures to be cherished for a lifetime. They don’t make them like they used to. That’s why Destin’s 654LIMO fleet includes this extraordinary classic. Perfect for weddings, photo shoots, birthdays, beach tours or any event where you want to create a sophisticated ambiance.